Children arrive with their parents/carers who settle their children. Parents may chat with the teachers; it’s a good time to pass on any information about your children that will help us e.g. if they have not slept well and might be tired or even just catching us up on what they are interested in so we can build this into our planning. Parents help their children hang up their coats, find their name card and add it to the board. They sign their child in and help settle them to play. 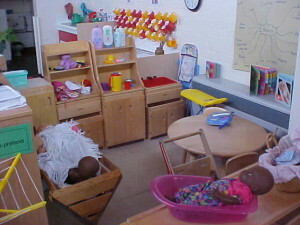 After all the children have arrived and settled the door is opened for free-flow play between the indoors and outdoors. Children learn where everything is both indoors and out so that they know what they want to play with and where it is kept. We keep things very accessible to all children so that they get very involved in their play, can chat with each other about what they are doing and practitioners can interact in ways that develop their learning. There are many activities for children to get involved in; sand, water, play-dough, painting, books, making things, building constructions, games, puzzles, music and so on. As well as the resources that are always available teachers will observe what children are interested in and add new experiences to extend their learning. 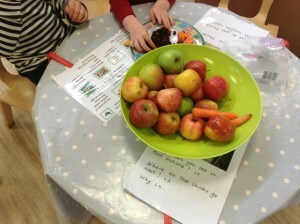 Children are able to take part in preparing, or simply help themselves, to a healthy snack during the morning. 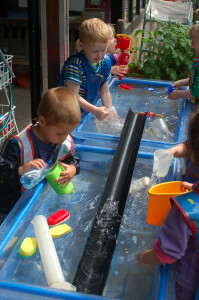 Children are encouraged to tidy up, everyone does this together both indoors and out. 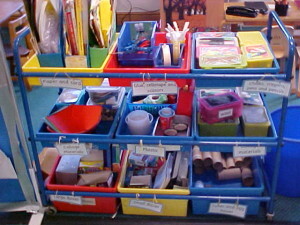 We find many opportunities for learning as children pack away their activities; sorting and classifying resources, counting to make sure a collection is complete, working together, listening to and giving instructions, reading pictures or print to know what goes in drawers etc. 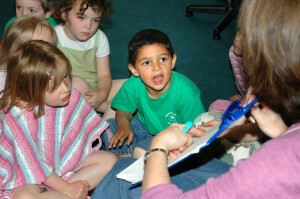 ‘Circle Time’ is a time when all the children in their class come together. Sometimes this is for a story and songs, sometimes we are celebrating a birthday or festival, sometimes we play counting games or sounds of words. 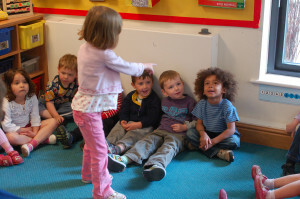 Children enjoy these times when they can sit alongside their friends and share things altogether. 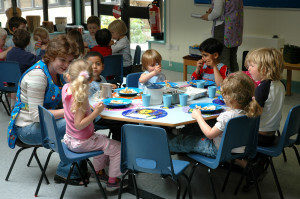 Children staying for lunch have a cooked lunch, the menu can be seen on a wall by our kitchen. Dietary needs are catered for. Lunch is in a room that we call ‘Rainbow Room’ and children sit in small family groups with a lunch time supervisor at each table. Lunch is a lovely social time and as well as enjoying food together we chat together and play before returning to the classrooms. Some children are with us all day and have a rest time after lunch. They watch a short carefully selected children’s story which may be linked to the day’s activities, the lights are kept low. Some children may fall asleep and we leave them resting for longer. The rest of the afternoon follows the same pattern as the morning. Those who attend just for the afternoon follow the same routine as our morning session. The afternoon has the same structure as the morning. Children learn where everything is both indoors and out so that they know what they want to play with and where it is kept. We keep things very accessible to all children so that they get very involved in their play, can chat with each other about what they are doing and practitioners can interact in ways that develop their learning. Children are able to take part in preparing, or simply help themselves, to a healthy snack during the afternoon. Some children stay on after their afternoon session, see Owlets (under Childcare in the top menu) for information about their tea and play time.